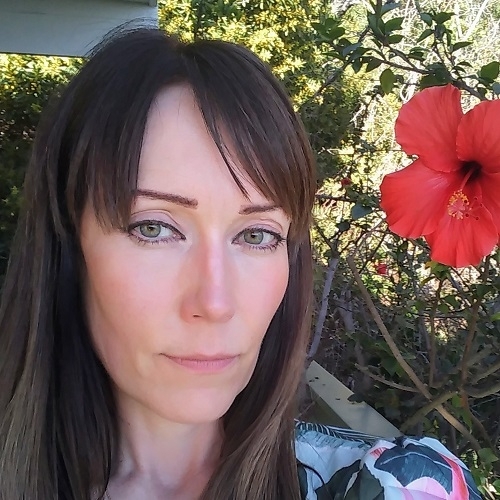 Sam Anne is a Multidimensional Psychic, with strong Clairvoyant, Clairsentient and Clairaudient gifts. working with Energy Oracle cards to relay Psychic messages from the Spiritual and Angelic realms. An experienced professional in the holistic industries, Informative and understanding, a certified Reiki Light master, Intuitive consultant specialising in Galactic DNA activation, Alchemy and philanthropy here on earth, all in the name of Higher Consciousness. Certified with the IPHM International Practioner of Holistic Medicine. BHMA British Herbal Medicine Association, a Reiki Master, Alchemist, with Diplomas in Advanced Botanical medicine. What do you most like about giving readings to Clear Psychics clients? By offering readings, it is greatly satisfying to know I can help and inform clients with support from the universal, spiritual and angelic realms. How would you say you are typical of your star sign Pisces? As a Pisces I am intuitive, compassionate, dreamy and radiate a magic energy. I have a Scorpio moon so this adds further the intensity and mystery. What would you say to someone who thinks they may have psychic ability? Meditate and allow time and space for these precious psychic gifts to develop. Sam Anne was 100% spot on in every way, she connected with me so well and could pick up when and where my house move was. Sam Anne could also tell me about my job, a very warm and friendly reader.